What is TICA and what is a cat show? The International Cat Association (TICA) is one of the world’s largest genetic registry of pedigreed cats and the largest registry of household pet cats and kittens. TICA recognizes over 70 breeds of cats for championship competition. Non-pedigreed cats and kittens compete in Household Pet competition. At a cat show, cats are judged individually and up close by each judge. Pedigreed cats (Champion, Kittens, Alters) are evaluated by a set of written standards, which can be found here, and ranked in order of how well they represent that breed standard. During the show, they compete within their breed and against other breeds. Non-pedigreed cats (Household Pets, Household Pet Kittens) are evaluated on overall condition, health, appearance and personality. 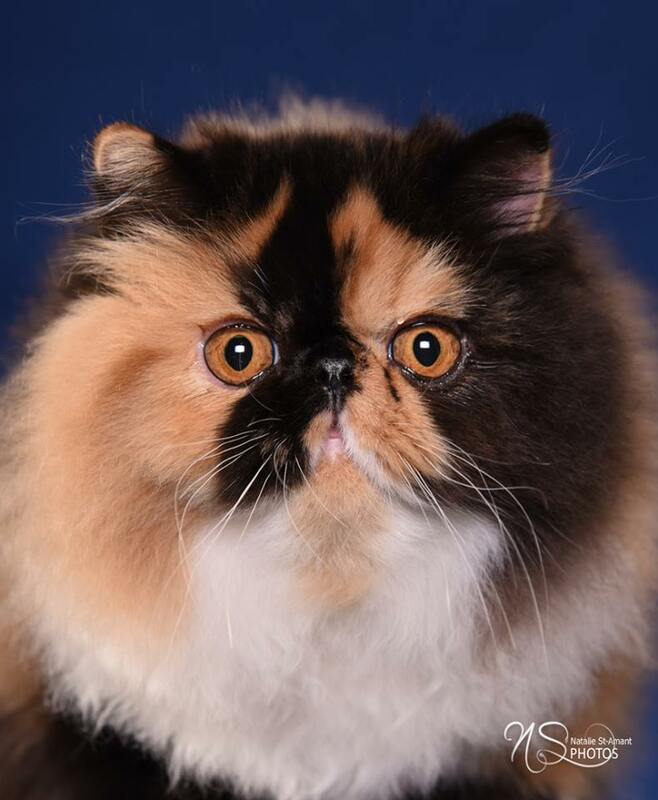 Both pedigreed and non-pedigreed cats can accumulate points, titles, and ribbons during the TICA show season (May 1st – April 30th), sometimes culminating in Regional or even International wins! If you would like to learn more about how judging works, please check out the TICA Visitors Guide. These publications will also be available at the show. Do not walk into the judging rings to look at the cats in the judging cages. This is the only off limit area in a cat show. Most owners will be happy to show off their cats and answer any questions you may have while you walk through the benching area. Watch out for people carrying cats and allow them to pass. People holding cats should always have the right of way - they are trying to get to and from a judging ring. If you hear someone yell “CAT OUT!” please stand still and let the owner catch the cat. DO NOT TRY TO CATCH THE CAT! Some cats are easily frightened by loud noises or sudden movements. If you have children with you, please prevent them from running or shouting in the show hall. Cats are susceptible to a large range of diseases which can be carried from cat to cat by human hands. Please do not pet any cat without asking the owner first. If the owner says “yes,” you may be asked to disinfect your hands first. Simoni Ice Rink in Cambridge, MA. We have listed directions on our Visitor Information page, or you can plug: 155 Gore Street, Cambridge, MA 02141 into your GPS/Maps. Tickets are available online and at the door. You can pick up tickets in advance through Eventbrite or at the door starting at 9:30 a.m. You can come at any time during the show hours, and once you have paid admission, you are allowed entry as many times as you like, over the course of that day. If you are going to the show for both days you must pay for a ticket again the next day. We are approximately ½ mile from the Lechmere T stop (Green Line) and close to the 85, 87, and 88 bus lines. Cambridge residents (with a parking sticker) can park for free on residential streets. For residents of Somerville, Boston, and other cities, meter parking can be found on Cambridge Street one block south of the rink. Please do not park in the Twin City Plaza lot, as they strictly enforce their parking. Your vehicle WILL be towed! Yes! In fact, children under 12 are free (with accompanying adult). There is even a playground next door (The Gold Star Mothers Park) if your little one needs a break to run around. Once you have paid admission, you are allowed entry as many times as you like, over the course of that day. What about pet-friendly? Can I bring my cat to the show? Scott Brothers New American Meat Co. and the Compliments food truck will be parked on site and will be easily accessible throughout the day. There will also be snacks for sale at the concession stand inside, as well as vending machines available in the lobby. What about things to bring home to my cats? Our vendors will have an array of merchandise for you to buy, including cat trees made in New Hampshire and other quality cat products that you won’t find in any of your local chain pet stores. The bathrooms are located in the lobby of the rink, on the left hand side as you walk in and the right hand side as you walk out. Both have accessible stalls available. I have a different question. Who can I contact? Check out the other pages on our website, but if you can’t find the answer you’re looking for, please shoot us an e-mail!